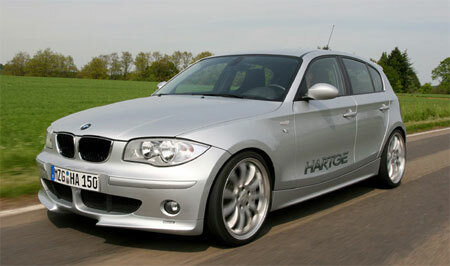 Hartge has always been known to do crazy things with the BMW cars that they tune up. Many of you will remember the ugly but crazily fast BMW 3-series they did up. 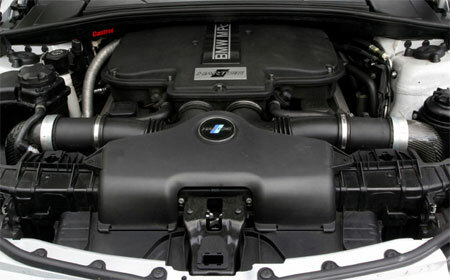 Not patient enough to wait for the real E90 BMW M3 to come out, they took the award-winning 5.0 litre V10 from the BMW M5 and stuffed it into the engine bay of an E90 model BMW 3-series. Slap on some funky bodykits and you have the Hartge H50 V10. They’ve applied the same philosophy to the BMW 1-series hatchback here. The most powerful BMW 1-series you can get from the BMW stables is currently the BMW 130i M Sport which features an inline-6 3.0 litre delivering 265 horses. What Hartge has done is put a 5.0 litre monster under the hood. This is not the same 5.0 litre V10 they’ve used before though. Instead, they used BMW’s 5.0 litre V8 engine. Not being satisfied with the 5.0 litre V8 in stock form, they tuned it up with new cylinder heads, new camshaft profiles, and improved engine management. The result is 450 horsepowers and 510Nm of torque. This is great for a car that weighs only 1,445kg in total. 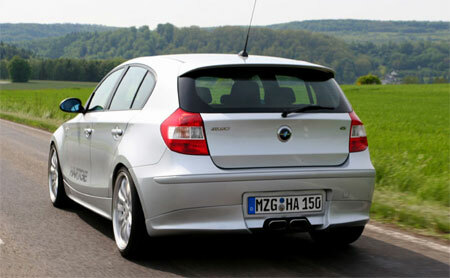 The chassis of the BMW 1-series had to be modified to take the extra power. A new stronger rear-subframe was installed. Why rear? Because this is a rear wheel drive car of course. 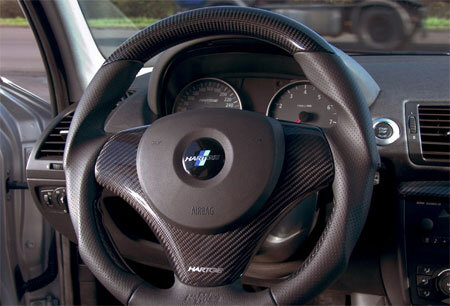 The car goes from 0-100km/h in 4.6 seconds and the speedometer needle continues to rise up to a top speed of 300km/h. 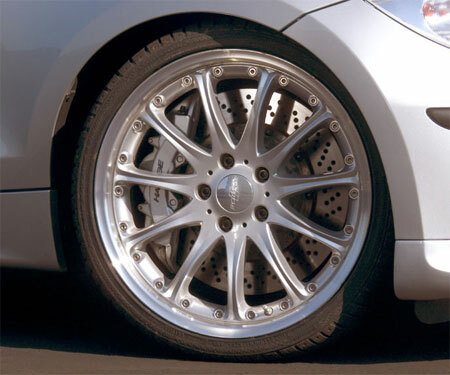 Of course, a powerful car requires powerful brakes so the Hartge H1 5.0 gets some massive 8-piston calipers in front, which attempt to stop 380mm floating cross-drilled rotors. Other things you get with the package is a Hartge bodykit. Might I suggest you skip the front bumper on the bodykit as I think it looks horrendous. But yeah, it’s ugly but it actually offers real aerodynamic benefits so just keep it anyway. Suspension is also a sports tuned one, and it lowers the stock standard 1-series by 30mm to the ground. Now I wonder if only someone could stuff a tuned engine from the Mitsubishi GTO’s 3.0 V6 twin turbo into the Proton Satria Neo, we could build a competitor for this hatchback.